Richmonders Bring Back Tales From the Pipeline Protests at Standing Rock | News and Features | Style Weekly - Richmond, VA local news, arts, and events. Kirk Schroder Protests against the Dakota Access Pipeline have continued at Standing Rock since April. 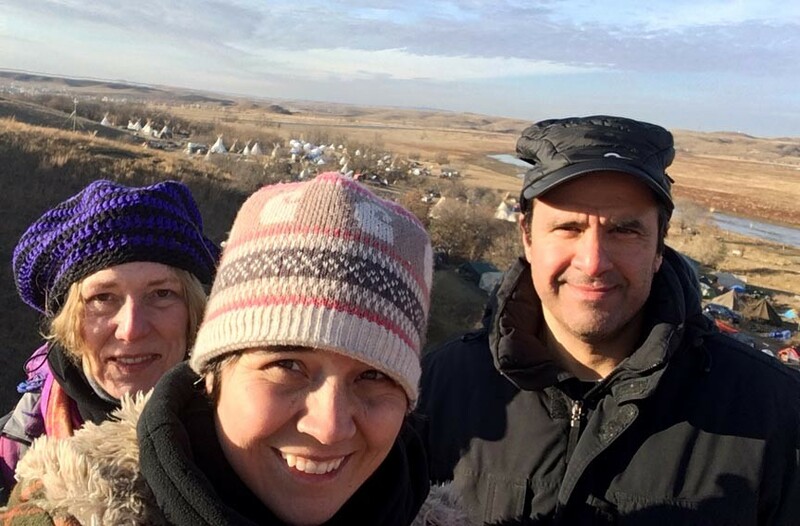 On the plane ride to Bismarck, North Dakota, some locals tried to convince Lainie Gratz, Susan Hughes and Kirk Schroder not to join camps at Standing Rock — where protests against the Dakota Access Pipeline have generated national attention. “They tried to claim that theirs was not a worthy cause because [the protesters], too, were committing violent acts,” Schroder says. But the three were undeterred, on a venture to see for themselves. They spent a weekend in the North Dakota cold before Thanksgiving, touring the camp and pitching in. The Sioux-led protests started in April and escalated in September. 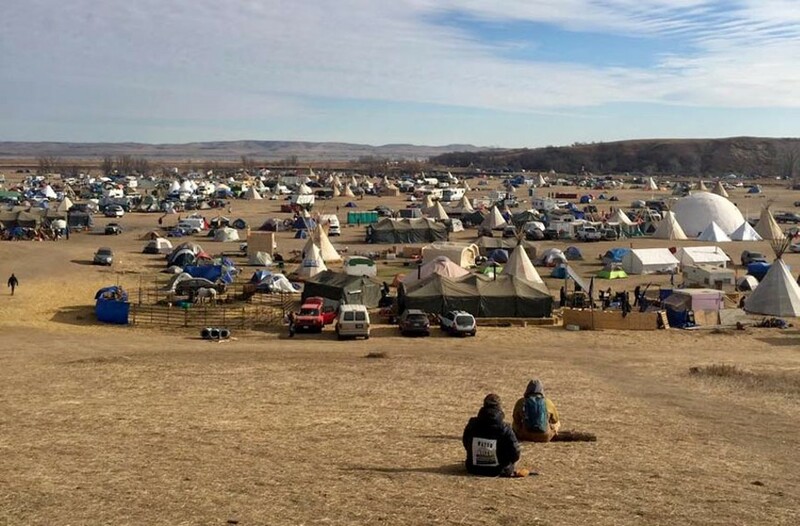 Joined by various American Indian groups and supporters, around 5,000 protesters have set up camps, both on the Standing Rock reservation and federal land, to stop construction on the portion of the pipeline that will go through the Cannonball and Missouri rivers. Proponents of the pipeline say it will reduce rail and truck transportation of American crude oil for national and international markets, and create thousands of jobs during construction. Susan Hughes, Lainie Gratz and Kirk Schroder traveled there from Richmond before Thanksgiving to see for themselves. Schroder, who lives in Charlottesville and has a law office in Richmond, says his group saw no evidence of violence being committed by protesters. They stayed in sections of the camp off the front lines, says Gratz, a Richmond native, freelance designer and aerial instructor. But reports of violence against protesters were told through a series of meet-ups around fires. Not long after the group left, videos emerged of attacks against protesters with rubber bullets, tear gas and water cannons. The people fighting the protesters are mix of local police in tactical gear and private security contractors, the group says. “Essentially a military operation is being directed at people trying to protect their only water supply,” Schroder says. The visitors don’t have American Indian backgrounds, and say they went out of concern for protesters and the environmental issues at stake. Take Virginia, for example. Schroder, who also works as a food advocate for Ellwood Thompson’s Local Market, cites the Atlantic Coast Pipeline, proposed by Gov. Terry McAuliffe at the behest of Dominion Resources and other energy companies. Its purpose is to carry natural gas from West Virginia through Virginia and North Carolina. As lawsuits against the Atlantic Coast Pipeline multiply, Virginia soon may see similar opposition before its scheduled completion in 2019. On Saturday, the U.S. Army Corps of Engineers set a Dec. 5 deadline for the Standing Rock camp on federal land to leave, but the Richmond visitors report that protesters are building schools and administrative hubs on site. “They’re staying for the long haul,” Hughes says.